An Opticstar PL-130M monochrome high resolution CMOS camera was remounted to bring the CMOS sensor forwards so that it can be placed at the prime focus of a PST H-alpha solarscope. The purpose of the modification is to be able to image the complete solar disk within a single frame. The result is quite encouraging. 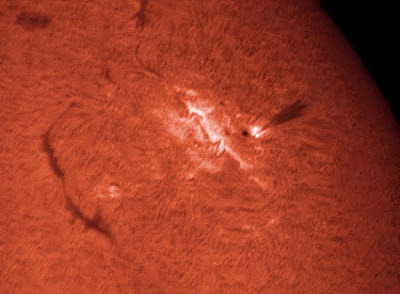 The filament crosses the limb of the Sun and becomes a prominence. 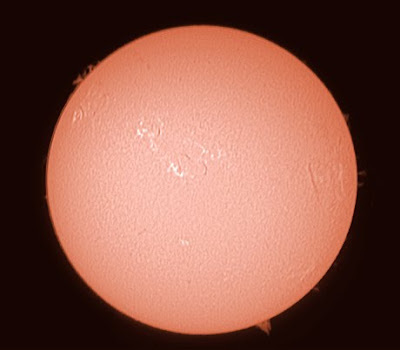 The region is crackling with activity and shows huge prominences, one emerging from a sunspot. 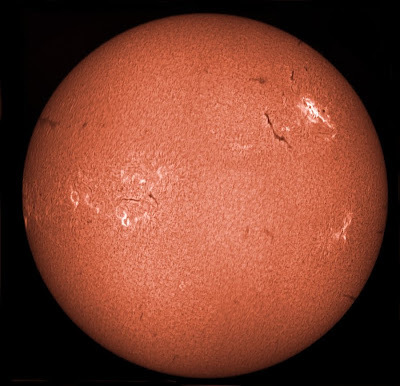 This image was featured on spaceweather.com Aug 26/27. 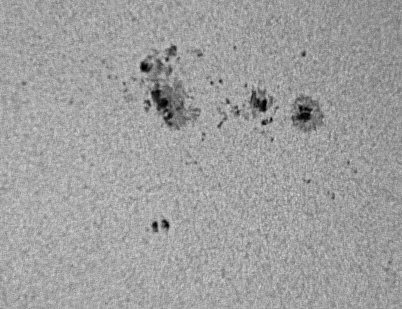 This sunspot group is changing rapidly and could give rise to Earth directed flares. The two images were rescaled and made greyscale for the purpose of the comparison. 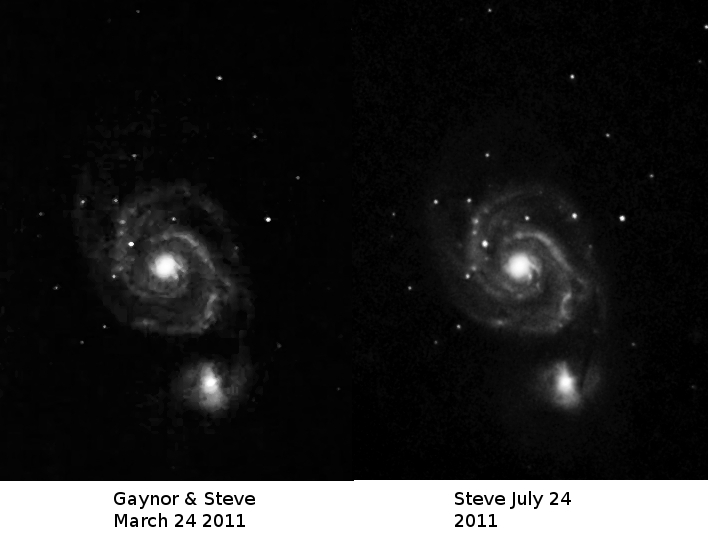 The supernova blinks on and off in this blink comparison. Jupiter was imaged with a Phillips SPC880NC/900NC camera fitted with a UV/IR cut filter and a x 2.5 Barlow lens on an f/10, 5" Maksutov. Comet C/2009 P1 (Garradd) was imaged with two scopes and two cameras. The comet was not visible in 10 x 50 binoculars, but was just visible in 15 x 80 binoculars. Clicking on an image will give a larger view. Granulation and the fibrillar structure of the penumbrae are evident.